Woven Pants & Tees Are A Thing Now, All Because Of What Sonam Kapoor Wore! If you are a complete tee and pants sorta girl, raise your hands up in the air. We get it: the comfort, the style and the comfort (did we say that already) are unparalleled, and so if you are someone who could wear a T-shirt+pants combo all day, erryday, count us in your tribe too. From the looks of it, Sonam Kapoor likes to rely on a tee and a pair of pants too, and though we didn't need to be convinced into wearing the super-comfy combo, her flaunting one clearly makes a strong case for the ensemble. Now, since Sonam Kapoor, the OG Bollywood fashionista does stuff in a distinct manner, you wouldn't expect her tee and pants to be just some run-of-the-mill outfit, would you? Keeping our faith in her fashion prowess intact, the actress pulled off a fashion move that only she can be expected to. 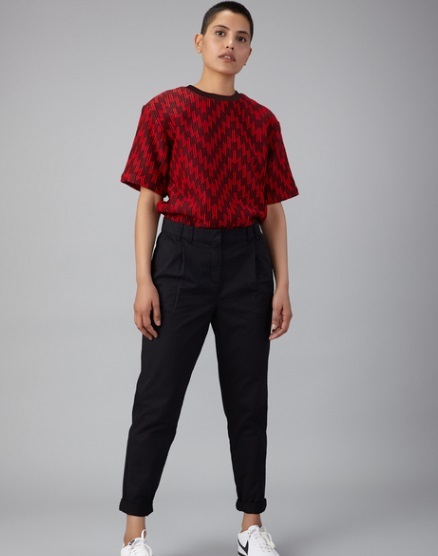 Woven tee and pants. Yes, you read that right and it's a thing, you guys! Wearing a pair of red jacquard weave pants and a tee of the same weave, Sonam Kapoor's woven ensemble looked equal parts comfy and striking. 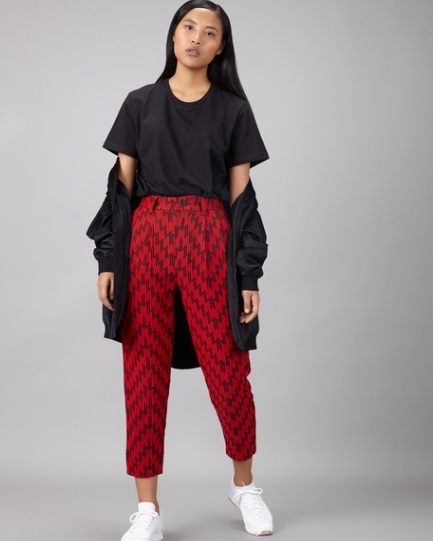 An asymmetric black print stood out on the red base of the outfit from Bhaane (hello, Anand Ahuja! ), making for an eye-catching look. 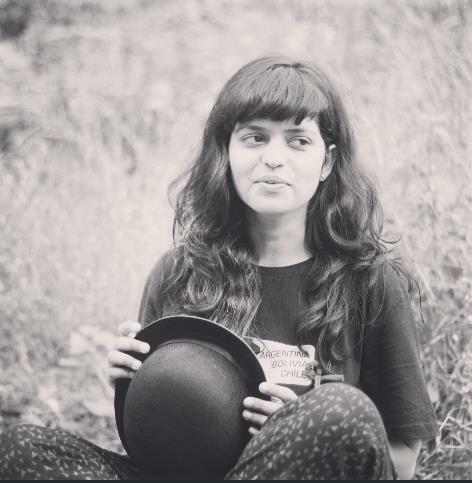 Featured along with the geometrical pattern was a black ribbed collar, making the tee an uber-cool choice. TBH, we can't wait to shop this t-shirt and pants combo ASAP! 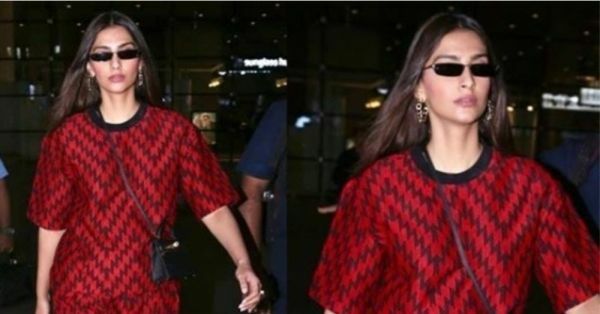 Keeping her accessories game on-point, Sonam Kapoor teamed her outfit with a black miniature sling bag and a pair of super tiny sunglasses, along with metallic earrings. On the work front, Sonam is busy promoting her upcoming film Ek Ladki Ko Dekha To Aisa Laga, and the promotions saw her in a monochrome pink look as she posed with co-star Raj Kummar Rao. If Sonam Kapoor's red tee+pants look is on your mind too, we got the exact same look for you to shop. You are welcome!